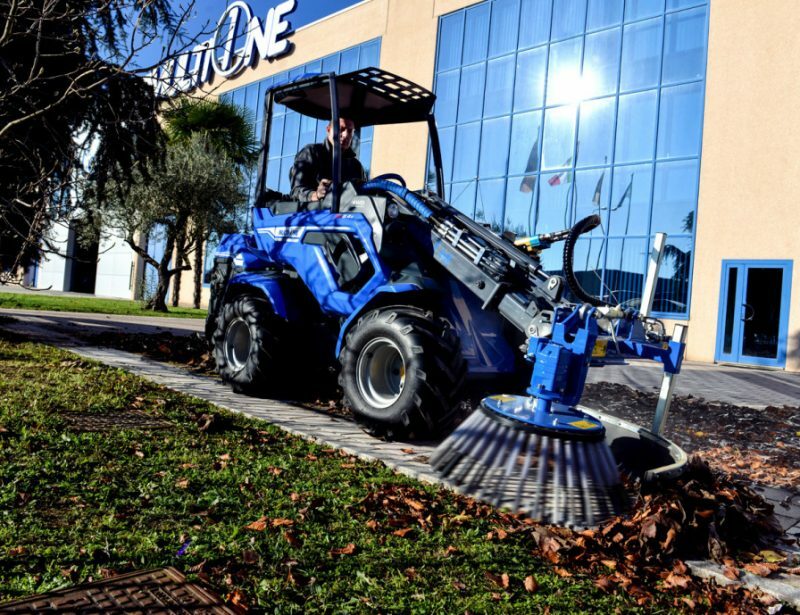 The MultiOne street washer is the perfect tool for cleaning large flat surfaces including roads, parking lots, industrial areas, and walkways. 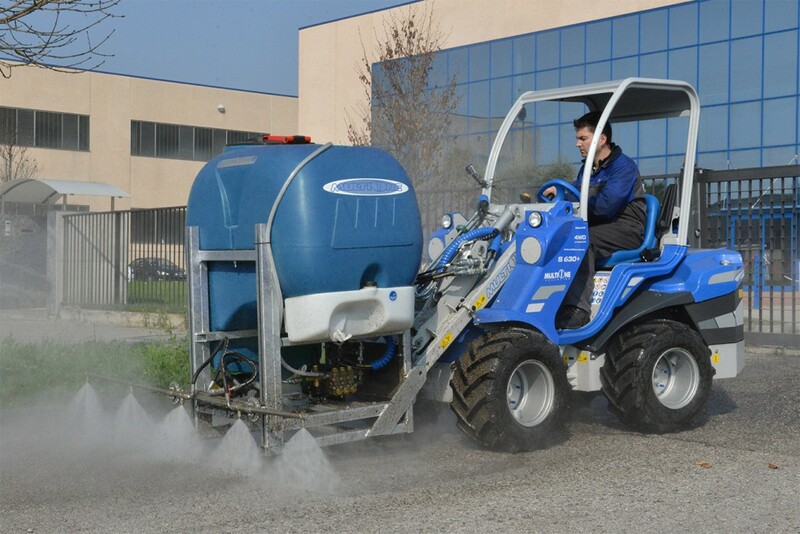 Its large capacity tank, choice of wide spray bars and built-in spray gun make quick work out of cleaning off thick layers of dirt on any paved surface. 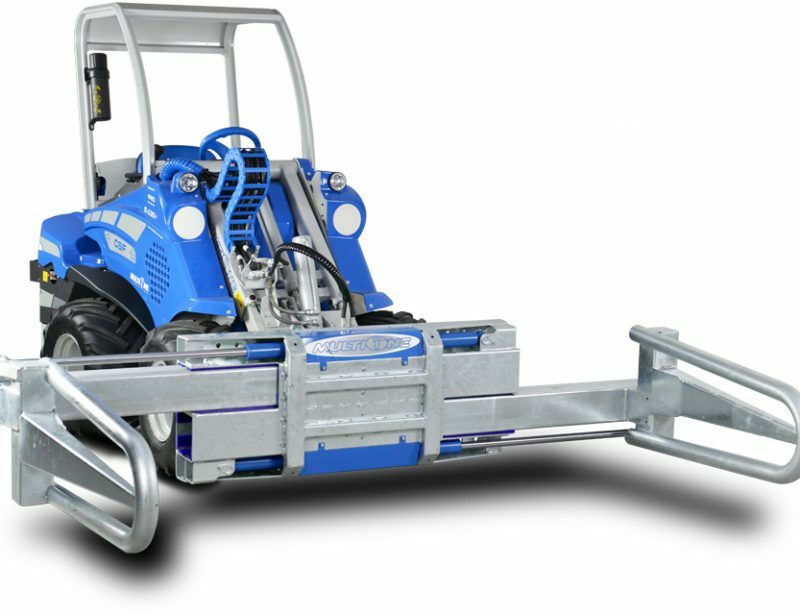 The spray bars can be pointed straight down for flat surface cleaning or tilted up to 90 degrees to reach curbs. 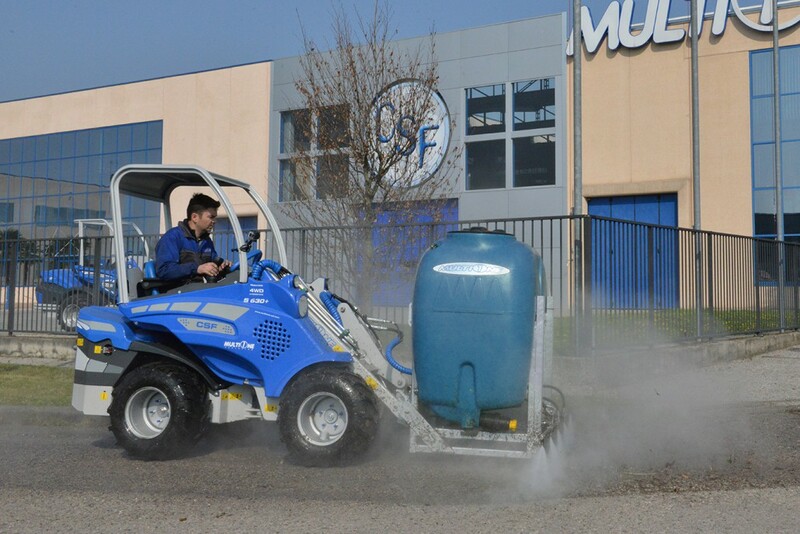 Operating at a pressure of 2,175 psi (150 bar), the jets of water can clean the dirtiest surfaces. 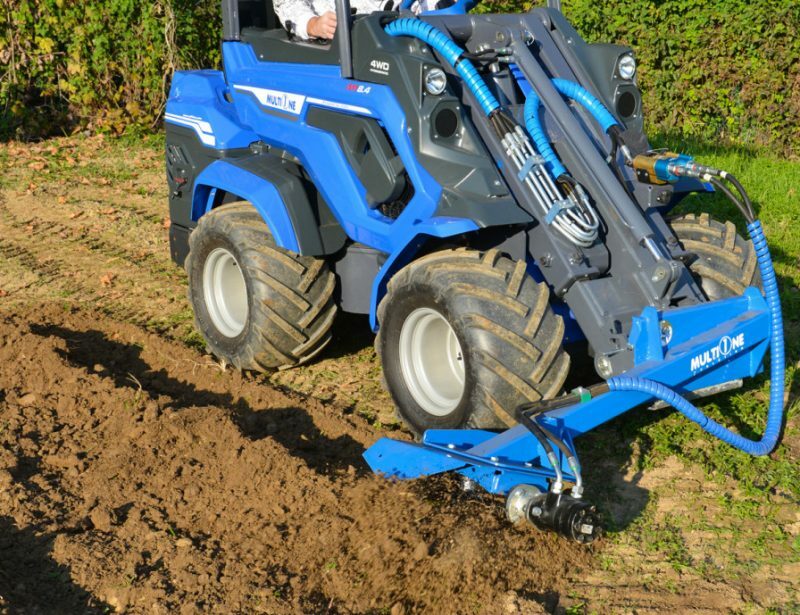 Need to get into hard-to-reach areas? 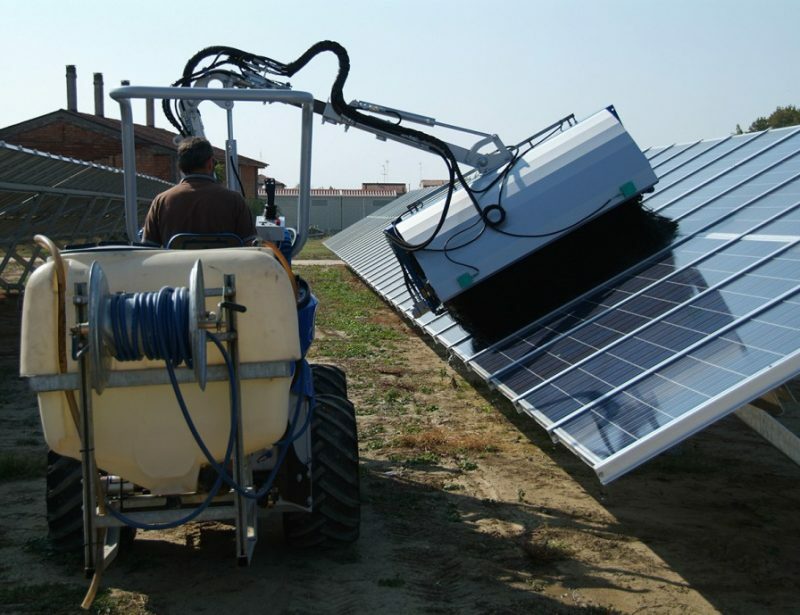 The washer includes a spray wand attached to a 32 foot (10 meter) hose. 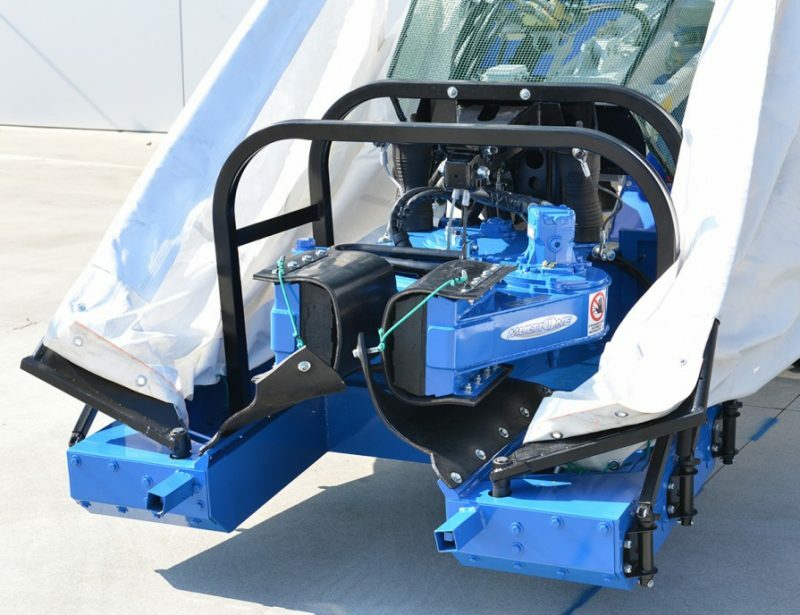 The street washer is available in two models: the 300 and 600. 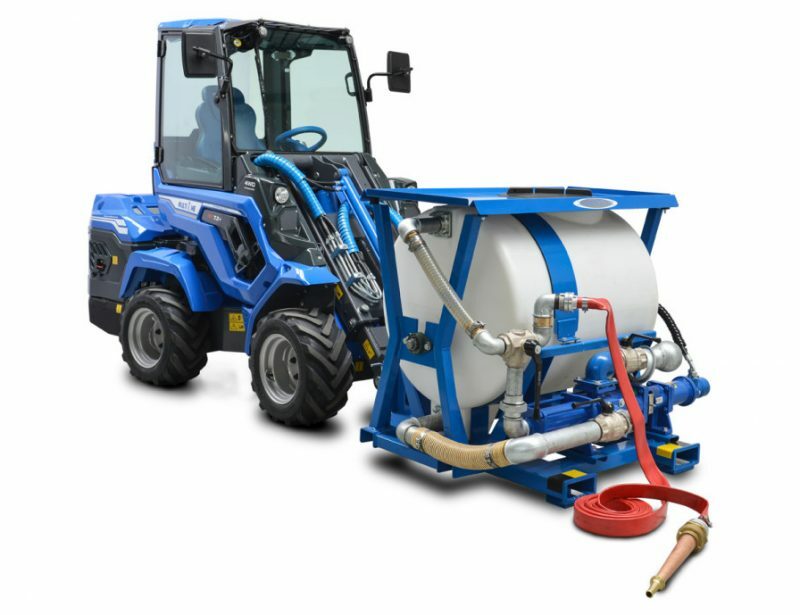 The 300 has a 59 inch (150 cm) wide spray bar and a 79.2 gallon (300 liter) tank. It weighs 132 lbs. (60 kg) when empty. 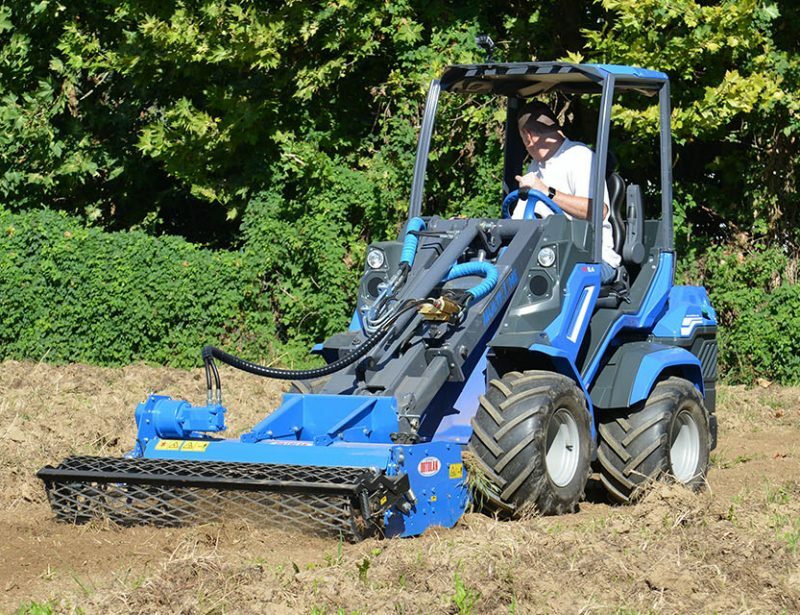 It can be used with all four wheel loaders, although MultiOne recommends a 5 Series or larger loader for the best performance. Three nozzles are included for the spray wand. 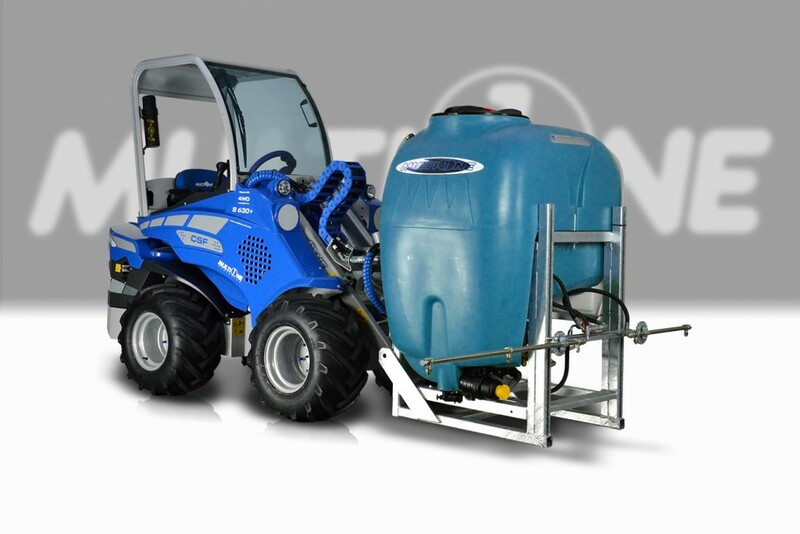 The 600 has a 98.4 inch (250 cm) wide spray bar and a 158.5 gallon (600 liter) tank. It weighs 165 lbs. (75 kg) when empty. 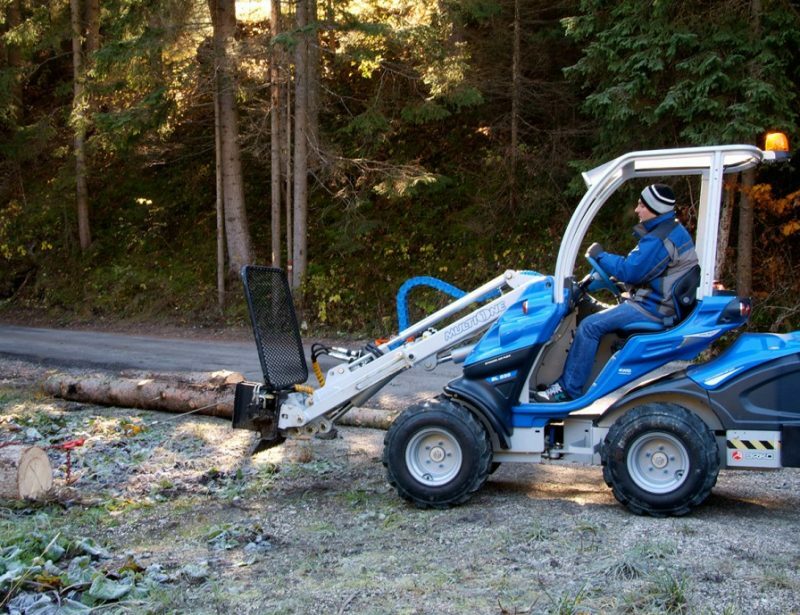 This model is compatible with 5 Series and larger loaders, although a 7 Series or larger loader is recommended for this attachment. 5 nozzles are included for the spray wand.